I read this article and found it very interesting, thought it might be something for you. The article is called M O V E and is located at https://www.totallydublin.ie/event/m-o-v-e/. M O V E is a learning community to share ideas to better connect the mind and body. M O V E hosts inter-generational gatherings that bring together a gym session, a dinner party and your favourite podcast. Each event will move in ways old and new, share a meal and digest the experience with great conversation. 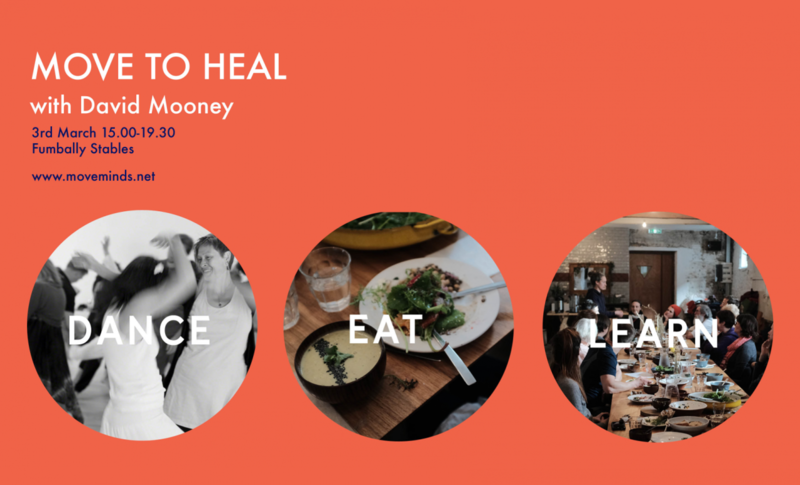 On the Saturday 3rd March David Mooney will be attending to explore movement as medicine in MOVE TO HEAL. M O V E builds on previous initiatives by the team including The Public Age Meeting house (Irish Architecture Foundation, DLR and HSE) , Dinner & Dialogues (The Year of Irish Design 2015 event) and ShareAnd. These projects created unique settings to support meaningful dialogue between a diverse range of people, young and old.